Electro Noire Pop - "The Nine Days' Queen" captures the tragic life story of Lady Jane Grey in a captivating song. 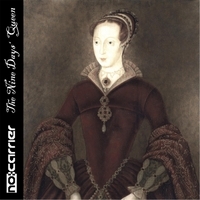 A tragic life story woven into a captivating song: "The Nine Days' Queen" by no:carrier tells the story of Lady Jane Grey who was born into tumultuous, dark times, became the Queen of England for nine days before being dethroned by the real successor of King Edward VI. After legal struggles Lady Jane Grey was beheaded on February 12, 1554. Musically no:carrier's trademark dark Electro Noire Pop mingles with medieval instruments and a small orchestra to form a captivating blend of electronic sounds, beats and instruments, with Cynthia's great voice above all.